And how are those poor children going to use Siri? Parents with questionable taste have been looking to Apple in 2012, with Apple, Mac and Siri all proving growers in the baby-naming department. Of the three, Apple made the biggest leap up the baby name charts, hopping up 15 per cent compared to the previous year. Gwyneth Paltrow and Chris Martin named their child Apple and it doesn't seem to have done her too much harm as yet. Mac we can also get behind. Technically short for Macaulay or Mackenzie, there have been some excellent Macs throughout history – Macaulay Culkin, Mac from Predator and the Big Mac to name just three notable examples. But Siri? Yes, some poor girls out there are named Siri – up 5 per cent on the previous year. 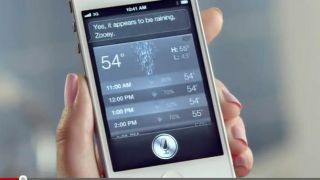 Although Siri is a popular girls' name in Norway, in many countries it is now synonymous with a notoriously half-baked voice-controlled assistant that is, in the UK at least, exclusively voiced by a man. And some of us will never forget those terrible Zooey Deschanel adverts. Siri is that RAIN? Also making the survey of 450,000 new baby names this year were Ace (presumably for the Samsung Galaxy Ace), Excel (because some people really do love spreadsheets) – and at least one poor boy out there is now called Google.